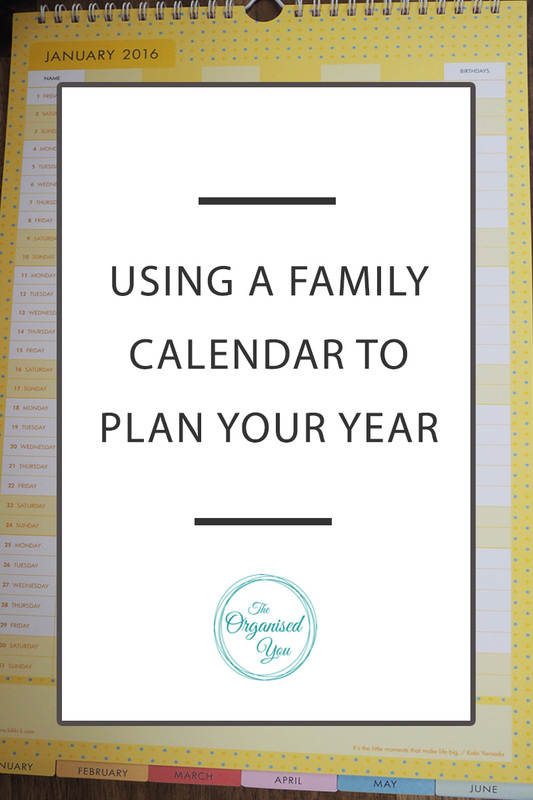 I've been eyeing off a calendar from Kikki-K for a while - the separate columns and days for each family member seems so much easier than trying to squash everyone's activities into one little calendar box. 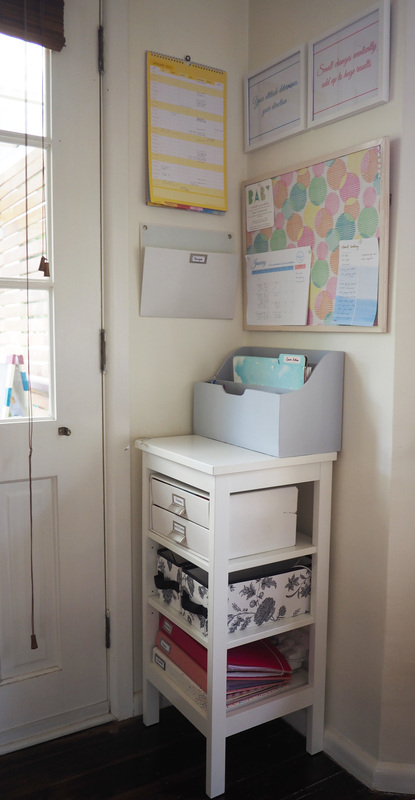 You can also choose what other headings you might like according to what would best keep your family organised - I chose 'banking' and 'house' (I'll explain these in detail further below). Each calendar page also has the helpful 'birthdays' column so we can hopefully be more organised on the present front (cards are covered at least!). Isn't it pretty? The calendar has different designs for each month, and fresh and cheerful colours. It also includes a sticker-pack to highlight different events. To be honest, I'll probably just end up hand-writing everything, but if you're a sticker person, these are pretty cute. With my son at 4 year old kinder, my daughter starting childcare, pick-ups, drop-offs, work, and social occasions, I anticipate these pages are going to fill up pretty quickly! One of the goals that my husband and I came up with these holidays was to be more social this year, so our plan is to sit down every few months to plan out and organise social and family catch-ups. Having them locked in a few weeks in advance suits us much better than last-minute arrangements. One of the things I liked most about my 2015 calendar was the handy column down the side for notes, which I used for listing household chores. However, I'm planning on letting up a bit on the chores this year, particularly with our renovation starting in February. The 'home' column will be where I list any extra household tasks each month, as well as any jobs we'll be tackling for the renovation. The other spare column I labelled 'banking'. I'll go into detail in a future post about how we organise our finances, but basically we have monthly direct debits on most of our expenses, including electricity, gas, water, phones, rates etc. It means we pay the same amount every month, so we don't have to worry about remembering to pay bills and are never 'surprised' by a large bill. However, because all the expenses come out on different days throughout the month, it can get a bit confusing to keep track of. The 'banking' column is perfect for tracking these costs, and teamed with our finance binder, we know where our money is going and can make sure everything is covered. I hung the calendar in our command center, which is still working so well in keeping us organised with everyday tasks and paperwork. The calendar didn't look great above the cork-board because of it's long shape, so I switched it with the framed quotes, and think it looks a lot better on the side wall. Easy to write on and quickly check what's happening. 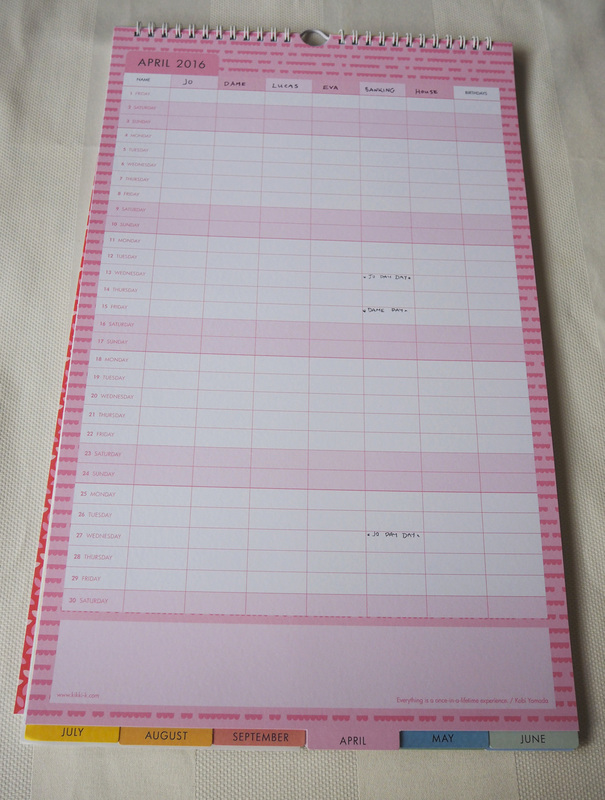 The other new product I grabbed was a notepad of these cute to-do lists. I love the top column for 'priorities' to keep me super focused on the important tasks for the day. I'm wanting to plan my to-do's and weekly/monthly goals a little differently this year - it'll take me a while to get it all set up but promise to share it with you when I'm there!